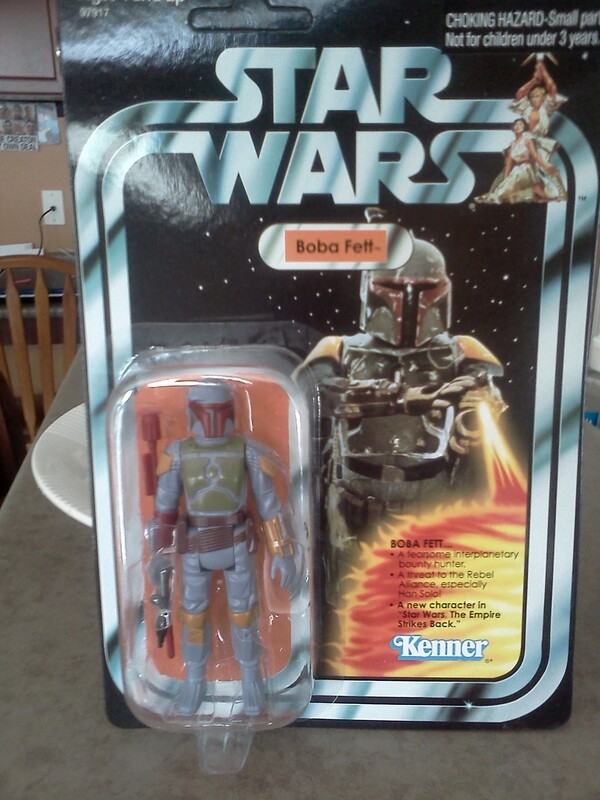 Did I ever tell you I really really really wanted a Boba Fett action figure when I was a kid? My cousin had one but he lost it in a lake. Which was rather careless of him. 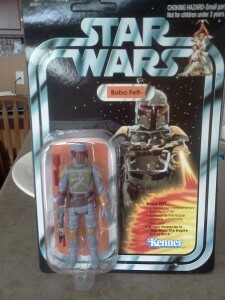 Today my very own Boba Fett figure has arrived in the mail. He looks awesome and would be, if I were still a kid, a blast to play with. The rocket even fires! But he is not coming out of the packaging. Ever. He will just sit on my desk and watch me write. p.s. My 5yr old is extremely pissed at me for this decision.